2017 was a breakout year for super sub ohm cloud chucking tanks. We're barely into 2018 but have some great cloud chuckers to boot. This year has had a stronger start than any year in recent history. We've seen all kinds of great tanks and devices released. As technology advances, our options are just getting better and better while the prices get lower. It's definitely a buyers market right now. You don't have to settle for lackluster devices. Brand loyalty is barely alive. If your previous favorite name brand is slacking off, there's a good chance one of their competitors has a better device. The market is so competitive right now, I wouldn't be surprised if these are not the best tanks by the end of the year. Who knows what will come out during the fall and winter months. But if you want to get the best cloud chasing tank right now, these three tanks are your best options. They'll have you chucking massive clouds without having to build your own coils. The current cloud chasing champ is the SMOK TFV12 Prince, hands down. What SMOK has accomplished with this tank is simply amazing. Basically, it lives up to the hype that was surrounding the original TFV12 Cloud Beast King. So this is really where the Prince separates itself from the competition. Believe it or not, this tank can churn out massive clouds just like the TFV12 Cloud Beast King, but at less than half the wattage. The clouds you will get off the T10 coil head at 100W are just as big as the clouds off the Cloud Beast King at 250W. It's crazy and I'm not sure how SMOK accomplished this but it's a much welcomed innovation. This had to happen. We can't keep vaping at higher and higher wattages to get bigger clouds. I think We've peaked in the 300W range. Nobody in their right mind would want to vape any higher than that. So SMOK has led the charge at innovating the coils within the range that most vapers like. I don't like the way 300W vapor feels. It's uncomfortable and when my lip touches the tank it feels like I burnt myself. But with the TFV12 Prince, all that has been eliminated. I can chuck clouds at 120W that look like 300W clouds. This is the future of cloud chasing. Hands down, this is my favorite cloud chasing tank at the moment. 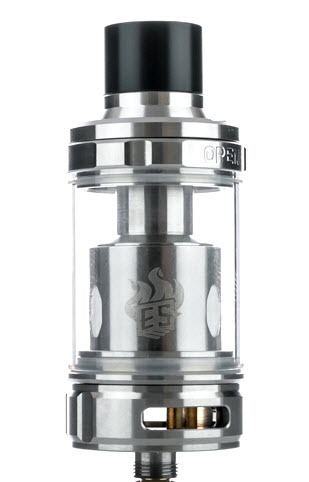 It has a massive 8mL capacity (with the extension) and gives off massive clouds. It has everything I look for in a cloud chasing tank, so it'll be interesting to see who tops it and how. But for now, the TFV12 Prince is the best on the market. If you're looking for another cloud chucker to add to your rotation, this is one you should consider buying. The Eleaf Melo 300 is a nice tank with a super convenient top-fill design. The top cap slides a few millimeters to reveal the fill slot. Very nice and easy to use. The ES 0.17ohm coil head is a funky looking thingamajig. You'll see wires and cotton everywhere! It's a pretty awesome coil design and it vapes like it. You can vape on this coil all the way up to 300W, but again, I don't recommend it. Towards the lower end of this coils range, it vapes like a beast. Right in the 125W to 150W range, I love this tank. It vapes amazingly well in that range. The clouds are huge and the flavor is not too shabby. One of the downsides to this tank is that it doesn't come with a replacement glass. Booooo. If you break the glass, you're screwed pretty hard. Other than that con, it's a solid tank that will give the TFV12 tank a run for its money in 2017. The Melo 300 is a monster tank that can hold a ton of liquid and pump out some major cloudage. If you want to bang out some crazy clouds, this tank will definitely get the job done. It's $5 cheaper than the TFV12 so you can save a little money there, just don't break the glass! The Wismec REUX is the sleeping giant. This is Wismec's first high performance tank, so it caught many people off guard. I didn't have lofty expectations of this tank like I did with the TFV12. Honestly, the REUX might just be my favorite tank on this list for the simple fact that it outperformed its expectations. It blindsided me out of nowhere with these monster clouds that actually had good flavor. I was thoroughly surprised and pleased by the performance. The REUX can go toe to toe with any tank on the market, even the TFV12. IT's hard to tell which one produces more clouds, and that's saying something. 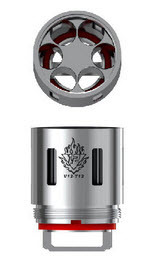 The TFV12 is not the clear cut winner when vaping at the same wattage, although it takes the cake at higher wattages. You know, the wattages nobody in their right mind vapes at. Yeah, those wattages. When you're dealing with this much cloudage, it's hard to judge. They both do insane amounts of clouds and can easily be used as a Call of Duty style smoke screen indoors. The REUX is one of the best all around tanks, hands down. it performs above its pay grade and can take on any tank on the market. The price point is friggin' sweet, costing less than taking my wife out to eat. Sorry babe, I'm getting this tank instead of doing date night. 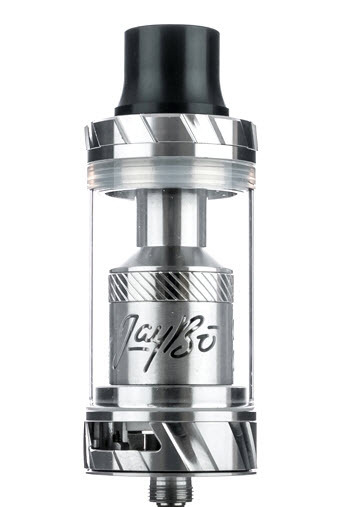 If you want to have a stylish tank that can chuck some serious clouds, then the REUX is a great choice. 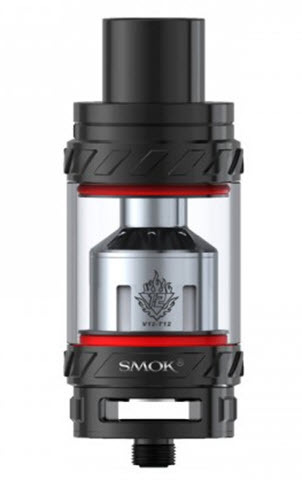 The V12 T12 coil head has 12 coils inside which give this tank a big leg up on the competition. It has an easy to use rotary top-fill design which makes filling it easy as pie. With the T12 coil head, you'll be able to blast this tank at unearthly wattages and produce some out-of-this-world clouds. You can vape on the T12 head up to 350W! I don't recommend taking it that high unless you have iron lungs, but it is possible. 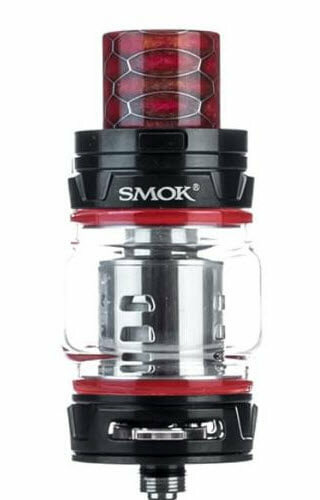 The highest SMOK recommends you take it is 200W for peak performance. If you go all the way up to 350W you might char your vape juice and then it'll taste like piss. 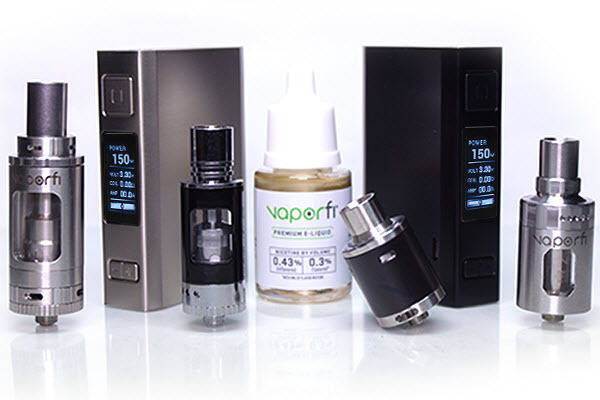 You'll love this tank in the 130W to 200W range. The clouds will be huge and the vapor will be smooth. As long as your mod can consistently power this tank, you'll get great performance out of the TFV12. The flavor is actually pretty decent as well, making this a great all around tank. But it's definitely best at pumping out beastly clouds. If you want a serous cloud chucker, this is one you should consider. The main reason to get this one over the TFV12 Prince is the wattage range of the coils. If you like vaping at super high wattages, then get this one. If not, get the Prince.